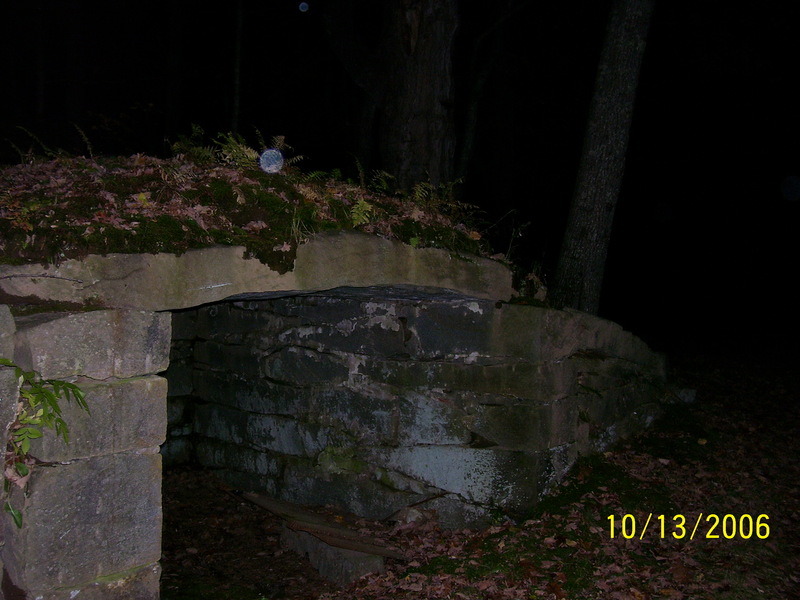 While each investigation generates probably over 100 associated photos, we will post a select few here as featured photos. 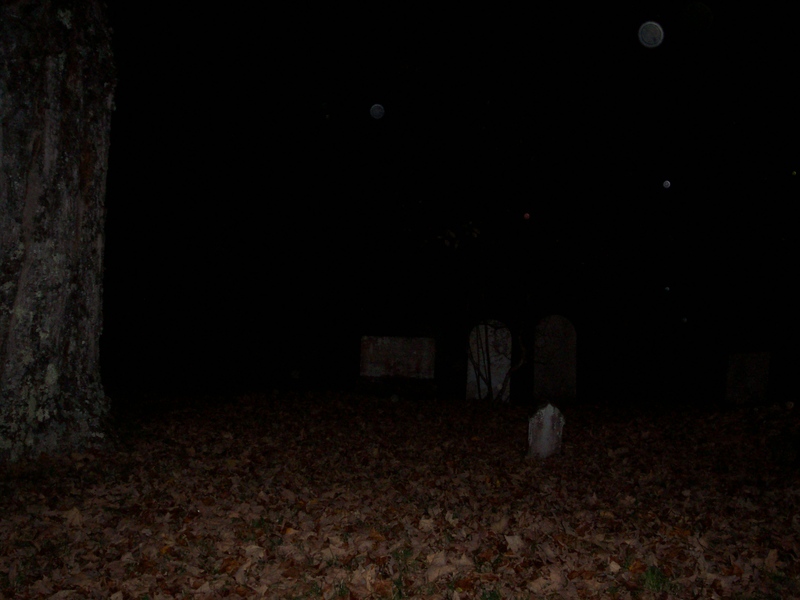 While a lot of the photos that are taken on investigations are of orbs, the presence of orbs dosen't prove a haunting. 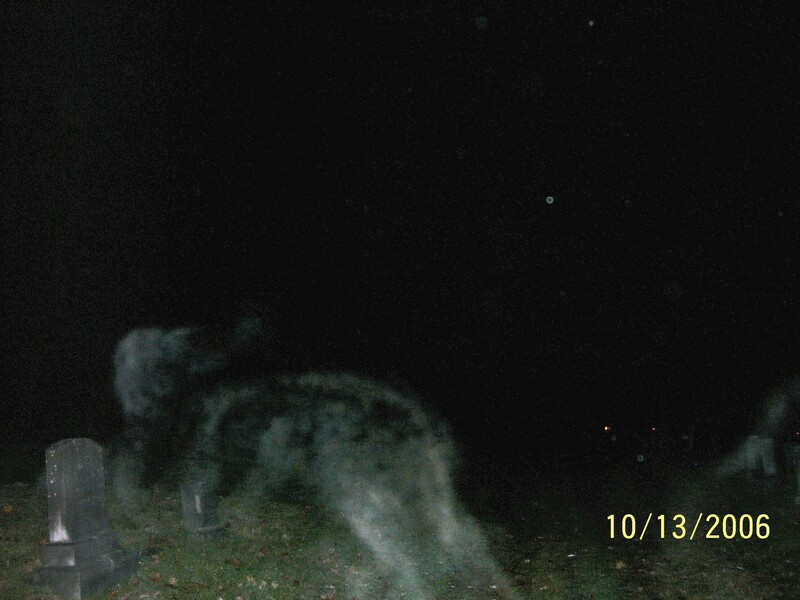 Orbs can be almost anything, dust, bugs, camera malfunctions, and even rain. Now there are those that say that orbs do prove a presence, but again they can be debunked as many causes. 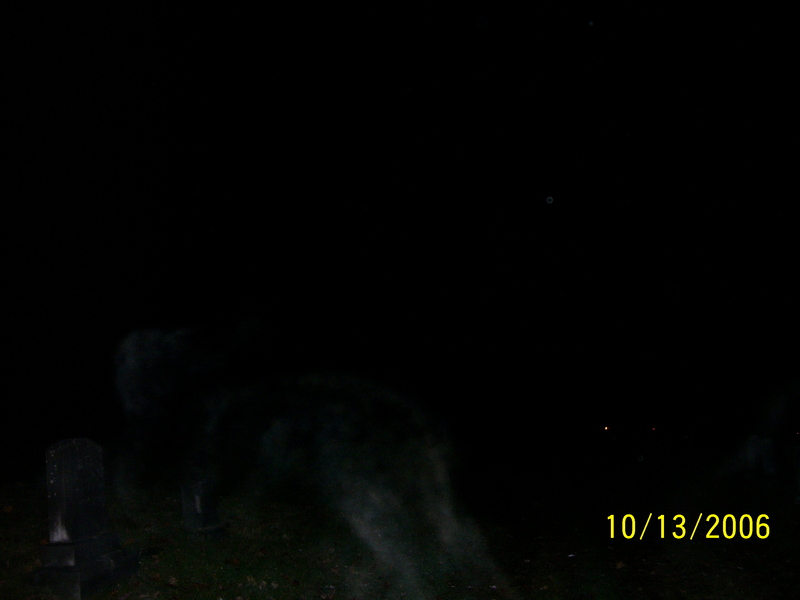 The above photo was taken by one of our investigators who was just taking random photos. The cemetery was active that night. 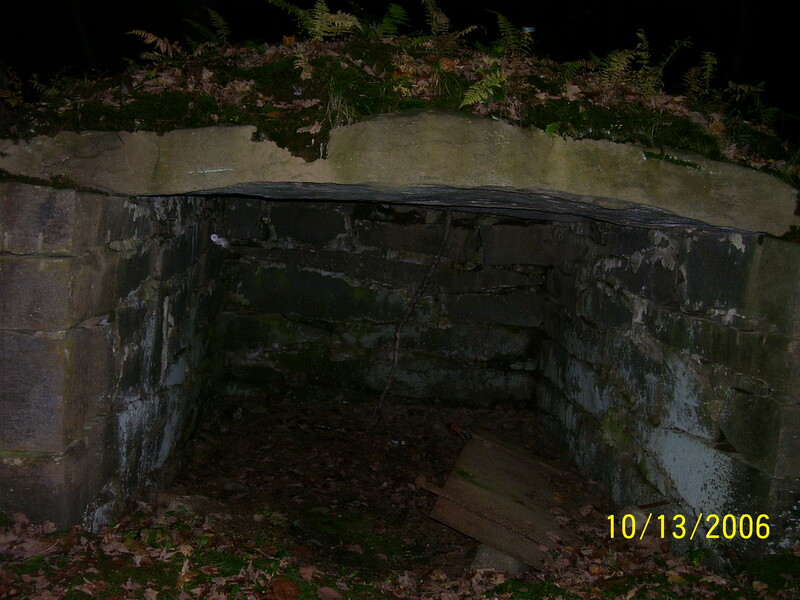 The above photo was taken by Jason, who had a feeling that there was something around this old storage building. 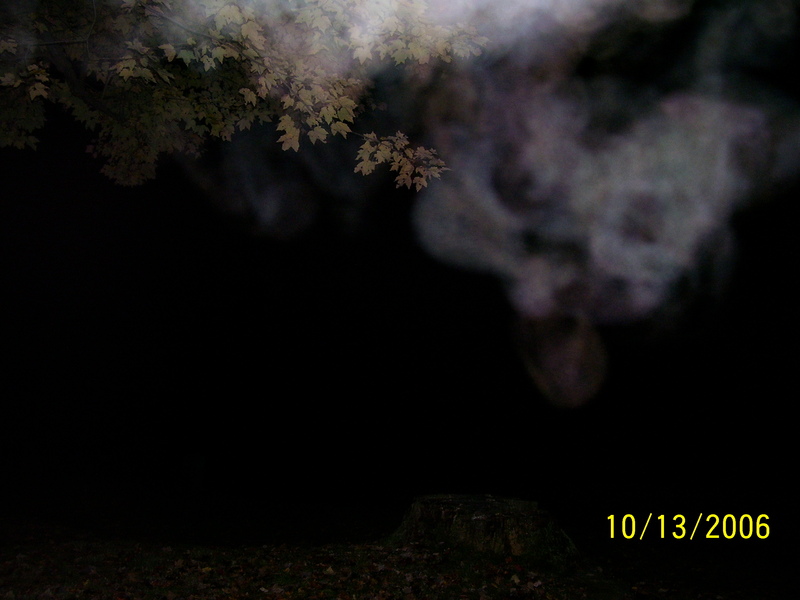 Above is a nice photo of some ecto mist taken at the same cemetery. Again in the two above pictures there was something in that little old storage building. The top picture is the original, the bottom picture has been blown up to get a closer look. 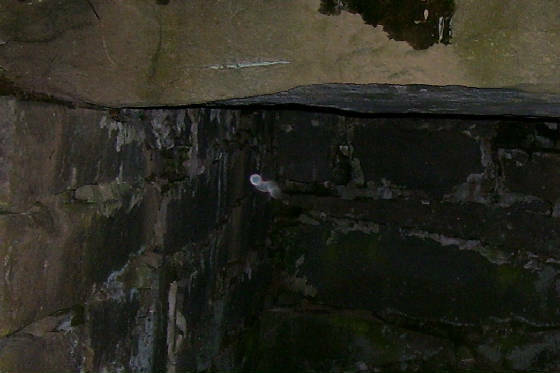 Another photo of some ecto mist from the same cemetery. The top photo is the original; the bottom photo has been enhanced for easier viewing.